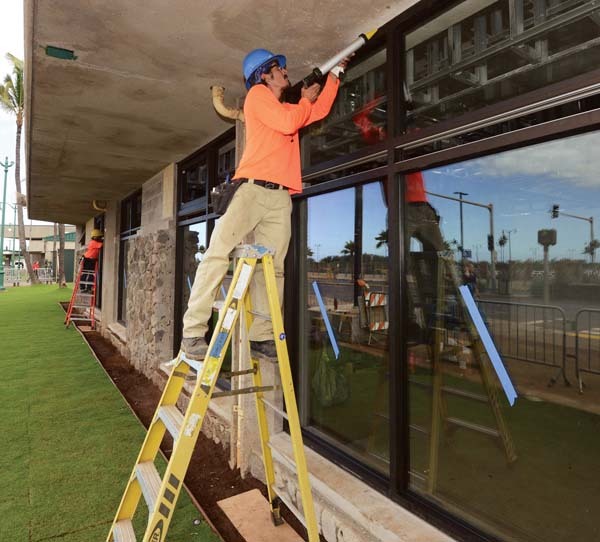 Reflections Glass glazier Anthony Luna helps install windows for a new conference room at Kahului Airport on Tuesday afternoon. The conference room for airport personnel is located on the ground floor between arrivals and departures and occupies space formerly held by Pass and ID, TSA and Lost and Found, all of which have been relocated. Before the improvements the walls were solid without windows.